Representative Honours: Northern Ireland: 2 Full Caps (1982); Youth Caps. Club Honours: (with Bradford City) Football League Division Three Champion 1984/85; Football League Division Four Runner-Up 1981/82. 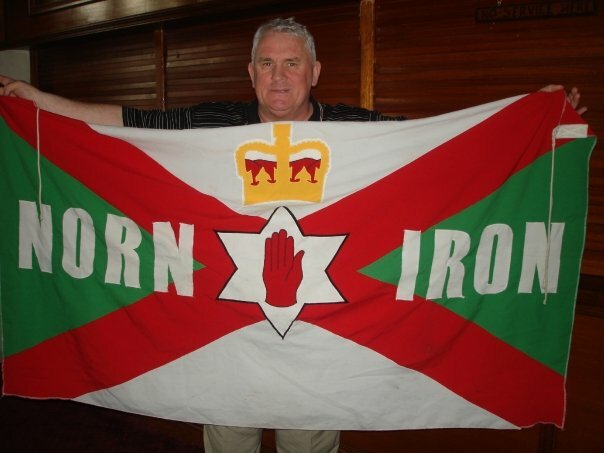 If you were to base Bobby Campbell’s footballing career solely on the long list of clubs for which he played, you would be severely underestimating the man. At each club he played for, Campbell left an indelible mark, be it good or bad. Signed by Aston Villa straight from school in May 1972, Campbell turned professional in January 1974, and made his first team debut as a substitute the following April in a 2-1 defeat by Sunderland, still aged just seventeen. Four days later he came off the bench to score his first senior goal in a 3-1 win over Nottingham Forest, and three days after that he made his first senior start against Carlisle. The following season he failed to follow up on his early promise, and was sent on loan to Halifax in February 1974, and sold to Huddersfield for £5,000 two months later. In July 1977, Campbell joined Sheffield United for £10,000, lasting just one season, and he then spent the summer of 1978 in the NASL with Vancouver Whitecaps. His return of eleven goals in sixteen appearances helped the Whitecaps to the National Conference semi-finals. A return to Huddersfield in September 1978 lasted just a month before he re-joined Halifax. He was sacked by Halifax in May 1979, and moved to Australia for a six month spell with Brisbane City. In December 1979 Bradford City decided to take a chance on the, by now, infamous Campbell, and offered him a trial. So impressed were they that a permanent deal was offered and he repaid their faith with a debut goal against Peterborough on the 12th January 1980. The following August Campbell scored what must be his most famous goal, as reigning League Champions Liverpool visited Valley Parade for a League Cup tie and were defeated 1-0. It was a typical Campbell goal too, he used his supreme upper body strength to brush off an all-international defence, to nip the ball home past Ray Clemence. The goal earned high praise for Campbell, many claiming he looked like a player who could go all the way. It was displays like that against Liverpool, and a total of 92 goals in three-and-a-half seasons with Bradford City that brought Campbell into the thoughts of Billy Bingham for international recognition. However, it was not to be a simple selection for the Irish FA had black-marked him for earlier misdemeanours whilst playing for the Northern Ireland Youth team. It was only representations from the Bradford board that allowed Bingham to consider him for selection. Campbell played in two games during the 1982 British Championship, and earned himself a place in the World Cup Finals squad. In Spain Campbell reverted to his old-ways, his outrageous behaviour leaving Bingham feeling he may have made a mistake, and Campbell was never called-up again. Norman Whiteside, in his biography Determined reminisced: "... as I bounced up and down on the left touchline [prior to kick-off v Yugoslavia] and caught a glimpse in the stand of Bobby Campbell clutching a burger in one hand and lifting a beer to his mouth with the other. It made me smile to think he was was on the same money as me, but hey, where would I rather have been? He was a rum turkey, Bobby, a folk hero at Bradford City but always in Billy's bad books because he bent every rule. He didn't play in Spain and never added to his two caps. If you are ever wondering why Billy turned his back on such a prolific goal-scorer, it probably had something to do with Campbell's parting shot as the plane hit the tarmac at Heathrow when we got back. 'Hey, Billy', he shouted as we taxied off the runway, 'You can't effing send me home now!'" A 33 goal haul in the season that followed the Spain World Cup convinced Roy McFarlane to bring Campbell with him when he left Bradford to manage Derby County. The £70,000 fee helped Bradford stave of financial oblivion, but it did not work out for all parties concerned, and Campbell returned to Bradford, initially on loan, in December 1983. A fee of £35,000 was later agreed and normal service was soon resumed as Campbell’s 26 goals shot Bradford to the Division Three championship in 1985. The glory of the title success paled in significance as a fire at Valley Parade on the final day of the season which claimed the lives of 56 fans. Along with many of his teammates, Campbell further developed his reputation as a fans’ favourite with many hospital visits over the ensuing months. Campbell left Bradford in October 1986 having scored a club record 143 goals over his two spells. His destination was Wigan Athletic, who forked out £25,000 for his services. In each of his two seasons at Springfield Park he finished as top scorer, helping the then Third Division, club to the FA Cup sixth round in 1987, and gaining hero status from another set of fans with a hat-trick in a League Cup win over local rivals Bolton Wanderers. Campbell retired from playing in 1988 after over 550 senior appearances and 200 goals. He worked as a steward at a working men’s club outside Huddersfield until June 2013 when he was dismissed following allegations of fraud of which he was cleared. He also worked as 'Football in the Community' Officer at Bradford. Bobby Campbell sadly took his own life in November 2016. He was 60 years old and was hailed as a "legend" by ex-club, Bradford City. Summary: 1(1)/0. Won 0, Drew 1. Lost 1. Flag picture by kind permission of Happy Days.